Danica is the friendly face who you will often first speak to, or meet, on your visit to us on a weekday. 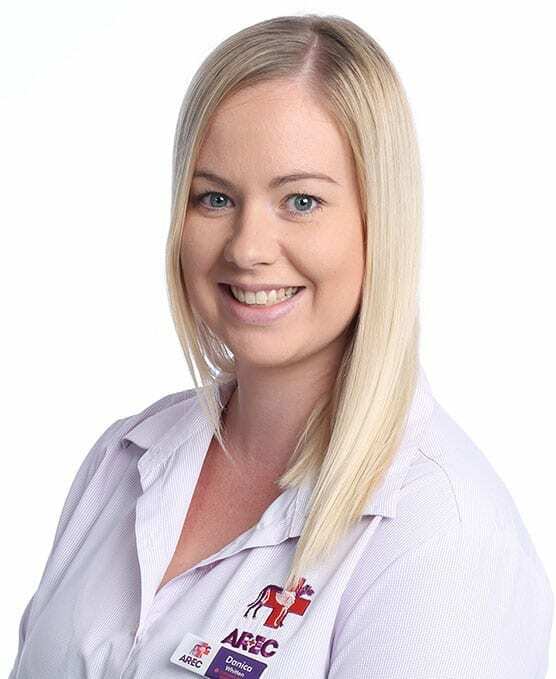 Danica started working in the medical industry in 2010 as a receptionist at a radiology practice on the central coast. She then made the transition up to Newcastle, which saw her assisting in opening a new practice, and taking on the role as office manager. Danica has always had a strong passion for animals – dogs in particular, so seeking a new challenge, and a change in career path, the move to AREC was simply something she could not pass up. Bringing along her strong administration and customer service skills Danica joined the AREC team in November 2016. In her spare time Danica plays weekly in team sports such as netball and touch football and enjoys spending time with her friends sharing a good bottle of wine.